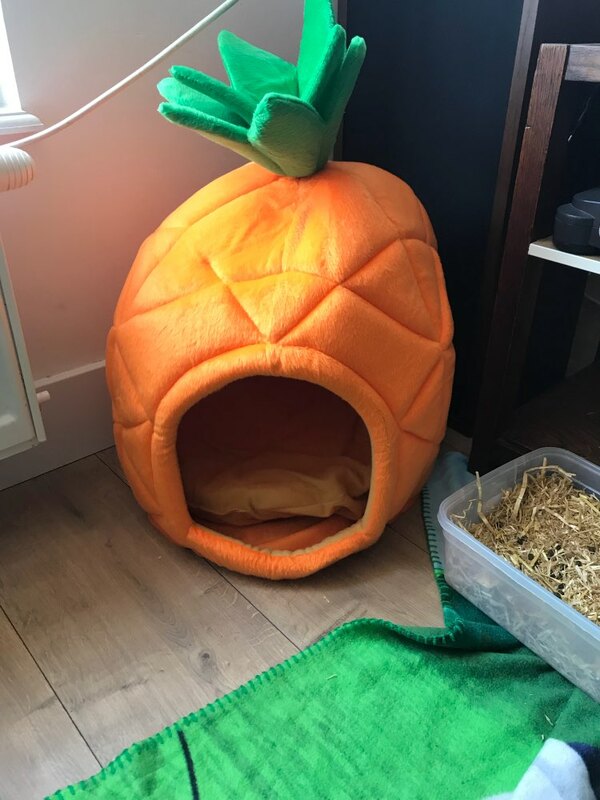 Does your pup live in a pineapple under the sea? 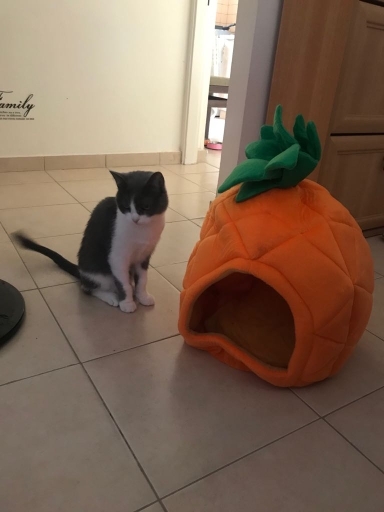 They can with this Pineapple Dog Bed! Your pooch will adore this bed's soft, cozy fleece and structure that works to soothe anxious pups with its enclosed nesting, cave-like design. The bed comes in two sizes - small (for dogs up to 9 lbs) and medium (for dogs up to 17 lbs). This colorful, laugh-out-loud dog bed is sure to make your guests giggle! 15" x 15" x 18"
17" x 17" x 19.5"
It’s bigger than I expected (ordered the smaller size and I think this is a large) but still really like it! Looks good but bigger than I expected!